The media coverage of the run-up to this year’s Synod on the Family seems to have focused on several controversial points, with the grand-daddy of all issues being the admission of divorced and remarried Catholics to communion. I guess it would not be of media interest if it was not controversial or sensational. The argument that divorced and civilly remarried Catholics (lacking annulments), however, be allowed to receive the Eucharist is not new. Proponents of this argument would often cite “mercy” as the main rationale, what more when “mercy” is a strong theme in the pontificate of Pope Francis. But mercy can never mean the suppression of the Truth. Mercy and Truth are not mutually exclusive. What more, we cannot take upon ourselves the task of setting aside the truth of Catholic doctrine in the name of mercy, because it would not only be appropriating a privilege that belongs only to Christ but would also falsify mercy. Similarly, we cannot approach God’s mercy without first discerning the truth about ourselves, our state of soul, and our sins. Mercy is never opposed to justice. The God of Mercy is also a Just God. In the cross, we see God’s justice and mercy meeting and uniting in the sacrifice of Jesus who in his mercy took upon himself the punishment that was due to us because of our sins. St John Paul II clarifies that mercy and pastoral care should never be an excuse to compromise the truths of faith communicated through Sacred Scripture and Tradition. He writes, “the Church reaffirms her practice, which is based upon Sacred Scripture, of not admitting to Eucharistic Communion divorced persons who have remarried. They are unable to be admitted thereto from the fact that their state and condition of life objectively contradict that union of love between Christ and the Church which is signified and effected by the Eucharist. Besides this, there is another special pastoral reason: if these people were admitted to the Eucharist, the faithful would be led into error and confusion regarding the Church’s teaching about the indissolubility of marriage.” In other words, our desire for communion must be reflected objectively by our lives lived in communion with God’s laws and that of the Church. One cannot contradict the other. Such contradiction would lead to confusion. Today's Gospel offer further insight into this truth. The apostle John emphasises that mere words and honest intentions are not enough when it comes to demonstrating a right relationship with God. We must walk the talk. Thus today’s gospel reminds us that vitality and fruitfulness are contingent upon and directly proportionate to the union of all members with Christ, and by extension the Church, which is His Body. Apart from Him and Her, we cannot hope to have life or bear fruit. We cannot demand communion if we are not living in communion with Christ and his visible Body, the Church. 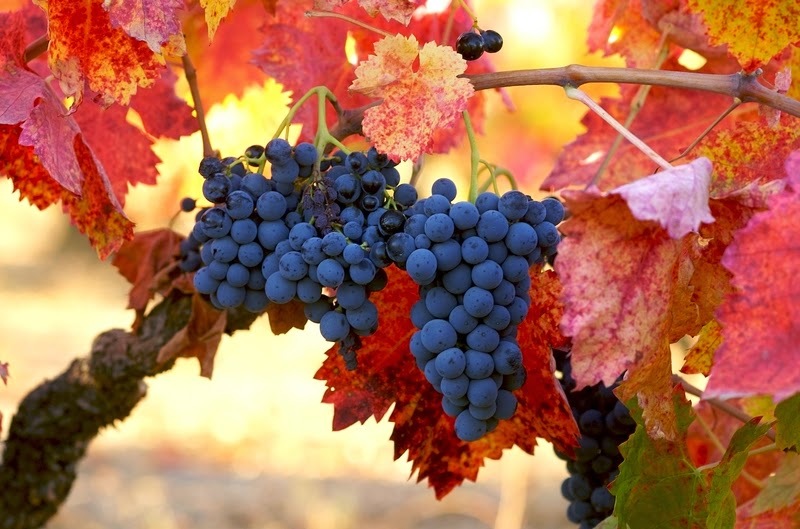 The union implied by the parable of the vine is the central event of our salvation history. And since such intimate union is the goal of salvation, God tolerates no compromise: the branches are either attached to the vine’s trunk or they are separated. We can’t be half-way Christians choosing to be united with Christ, yet seeking to be away from His Body, the Church. Neither can we assume that we have a right to take communion at every mass and at the same time, live in opposition to the teachings and Laws of Christ and His Church. That would be hypocrisy at its worst. We have to take this to heart, “For cut off from me you can do nothing.” Communion with Christ is not just an idea; it is realised in our relationship with the Church. The Church is in fact the Body of Christ and to live attached to the Vine is to be in ecclesial communion, to live in the Body of Christ and to nourish oneself with the Body of Christ. For this reason, the sacrament of our union with Christ is also the sacrament of the unity of the Church. To receive communion implies that you must be in communion, that you must be ready to submit to the authority of the Church and accept her teachings as true. The two are not meant to be separated. The outward act of receiving the Eucharist is a visible, public sign of the invisible union of your mind, will, and heart with Christ and his Church and all that she proposes for our belief. Receiving Eucharistic Communion contrary to ecclesial communion is therefore in itself a contradiction. The story of Holy Week leaves us with an important reminder that we should not ignore. One of the apostles, did not remain in Christ; he shared in the first Eucharistic meal but his heart had already been set to betray Christ. Rather than receiving a cup of blessing, he partook of the chalice of God’s wrath by his duplicity – an outward sign of communion not matched by an internal disposition to be in communion with the Lord. The blessing became a curse; the medicine becomes poison. We, therefore, see in the person of Judas that the danger of cutting oneself off from the vine and eternal life is real. Tragically, it does happen. When we receive the Body of Christ unworthily, when our act of communion does not match our desire to live in communion with the Church, we then risk receiving it to our condemnation. It is why we have recourse to confession, which restores us to full communion with Christ and His Church. We can only receive communion because we are in communion. Anything less would be hypocrisy and a dangerous lie.